A large crowd of parents and children turned out for Sept. 29's annual Transportation Station educational event at Bryan Elementary School. 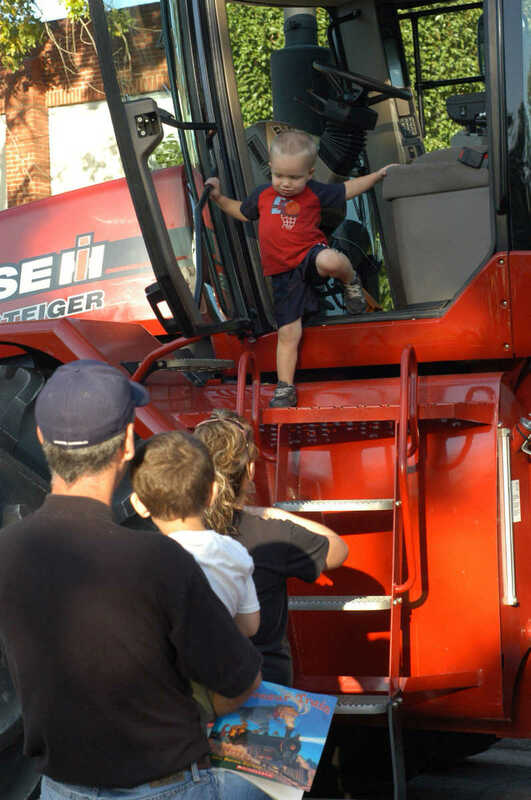 2-year-old Griffin Crews climbs down unassisted from the cab of the big red tractor he had been inspecting at Sept. 29's Transportation Station event to let youngsters see various forms of transportation firsthand. With him is his mom Cassie. 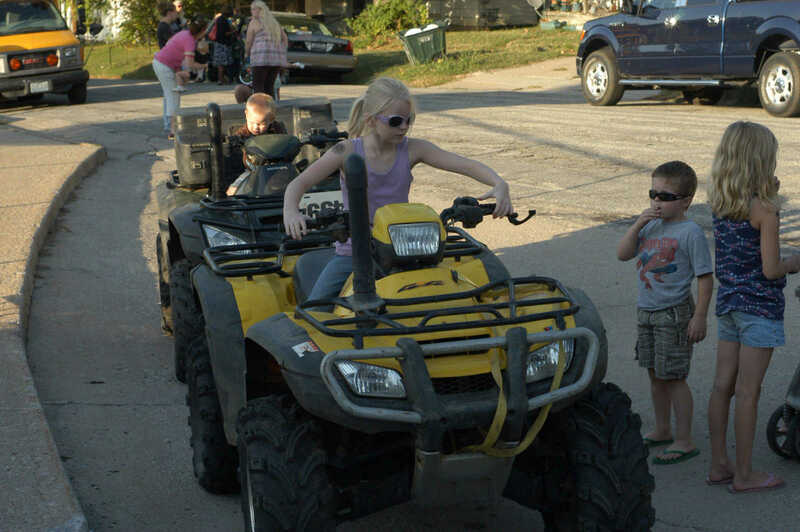 9-year-old Serenity Wright takes the steering wheel of an all-terrain vehicle and looks ready to start driving it during the annual Transportation Station educational experience for children outside Bryan Elementary School. 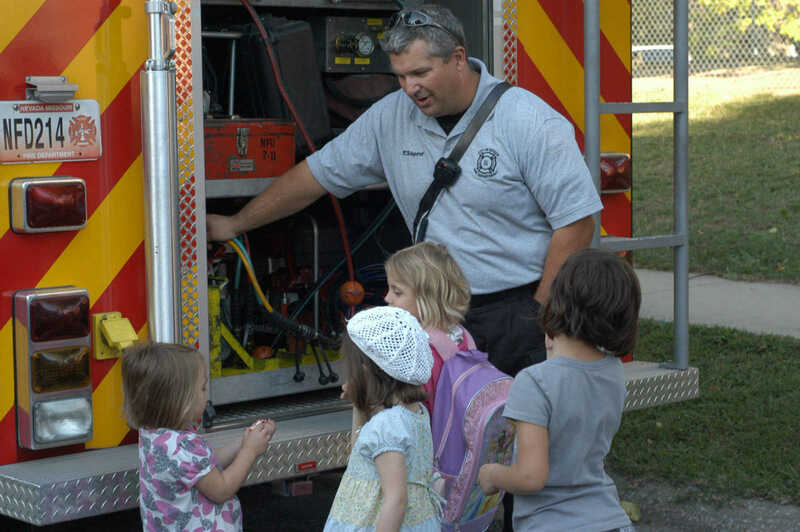 Nevada Fire Department Lt. Kelly Wingert explains the operations of an ambulance at Transportation Station at Bryan Elementary School, where a large crowd of parents and children also viewed tractors, monster trucks, race cars and other vehicles. 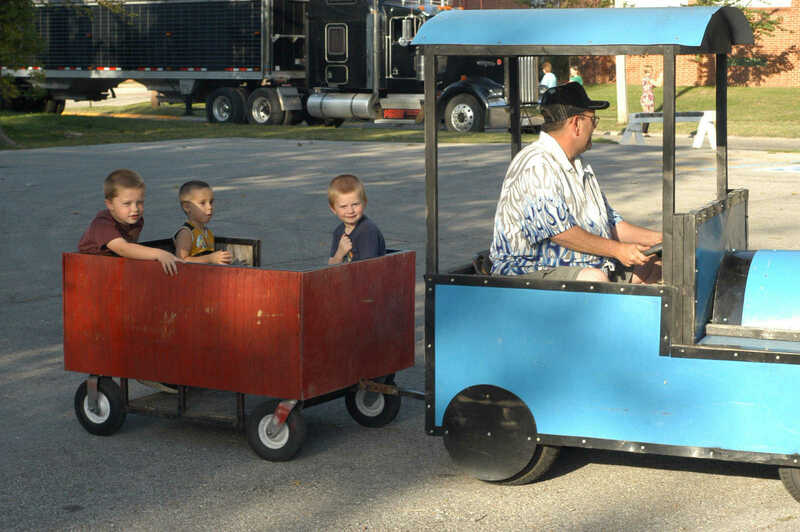 Transportation Station "engineer" Floyd Bennett was carrying kids around and around in the parking lot outside Bryan Elementary during the annual event to demonstrate various forms of transportation and allow children to see vehicles up close. 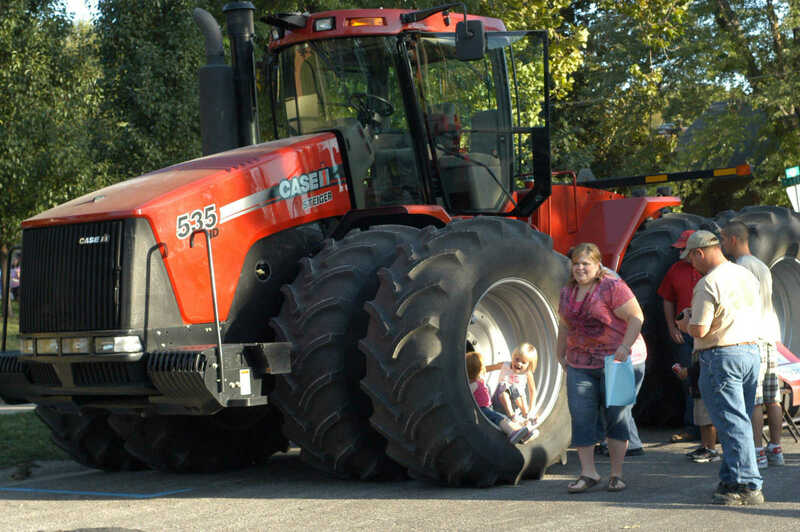 Kelli Redburn is as delighted as her daughters Emily, 4, and Allison, 2, to have their photo made in the wheel of a giant tractor at Transportation Station at Bryan Elementary School, where a number of farmers, truckers and first responders brought their distinctive vehicles. 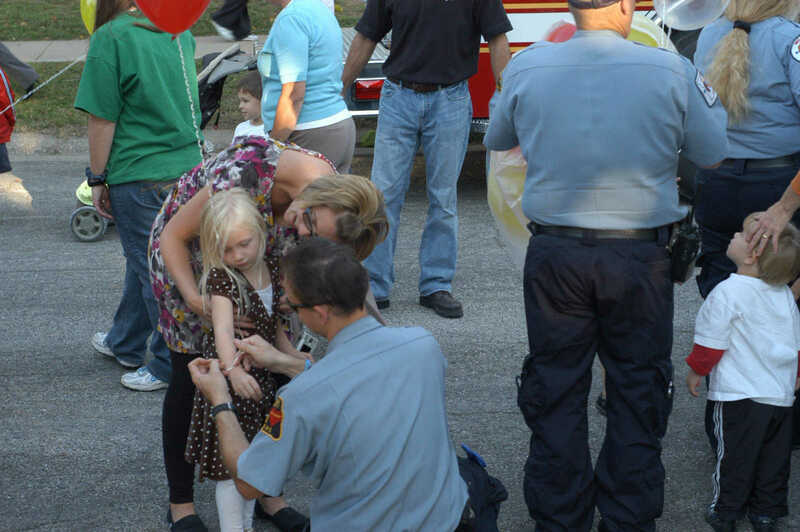 Vernon County Ambulance District Emergency Medical Technician Chris Bailey ties a bracelet on 3-year-old Kimber Eaton at Transportation Station Sept. 29 at Bryan Elementary School. With Kimber is her mom Amanda.